Shakespeare is regarded in the Arab world as the greatest world poet and playwright. His plays and poems were used and taught on all levels of education. The speaker will through a new light on the reception, teaching, translating, and performing Old Will even in the Arab vernaculars to popularize him and his works. Some of Jawad's essays and works are included in Shakespeare Library Collection in Stratford-upon- Avon. Abdul Sattar Jawad, Ph.D. is Professor Emeritus of Comparative Literature and Middle Eastern Studies at Duke University. He was a Barksdale Fellow at the Mississippi, Honors College. Prior to this, he was a Visiting Professor at the Department of English and American Language and Literature, Harvard University. He was with the John Hope Franklin Center for Interdisciplinary and International Studies at Duke University 2005. He received his Ph.D. in English Literature and Journalism, from London's City University, UK. Apart from teaching Comparative Literature, he is an expert on the works of T. S. Eliot and those of William Shakespeare. He had translated Eliot's "Waste Land" into Arabic (1972) and republished it in his book: T.S Eliot in Baghdad (2014). 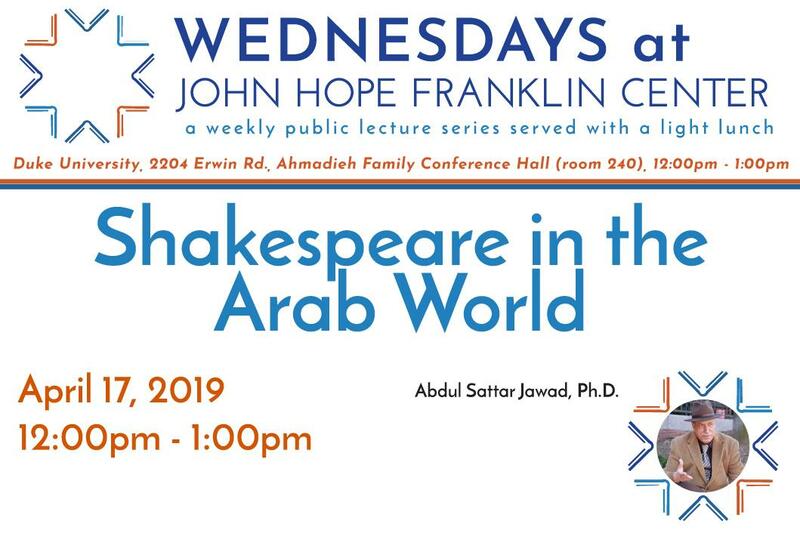 Jawad formed in Baghdad during the 1980s 'Shakespeare Circle', a group of Iraqi intellectuals, well-versed in the Bard's works see: (https://sites.duke.edu/abdulsattarjawad/) He is also an expert on Iraqi media and academia.